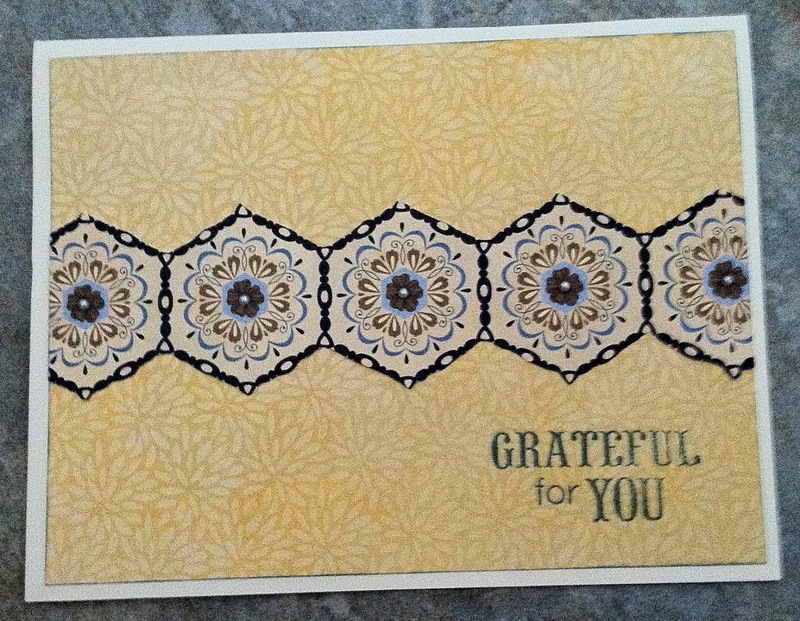 I have been afraid to use my new pretty paper from CTMH but I finally did. 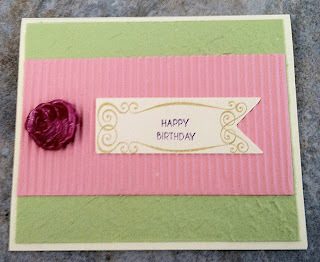 I used the Pemberley Workshop on the Go Kit to create my card. I love that the papers tell you what colors match for ink and solid card stock. It is great that they are double sided so I know that both sides will match. This is the paper I chose from the pack. Click on the paper to see all of the patterns. You can buy just the paper packet or the Workshop On The Kit. 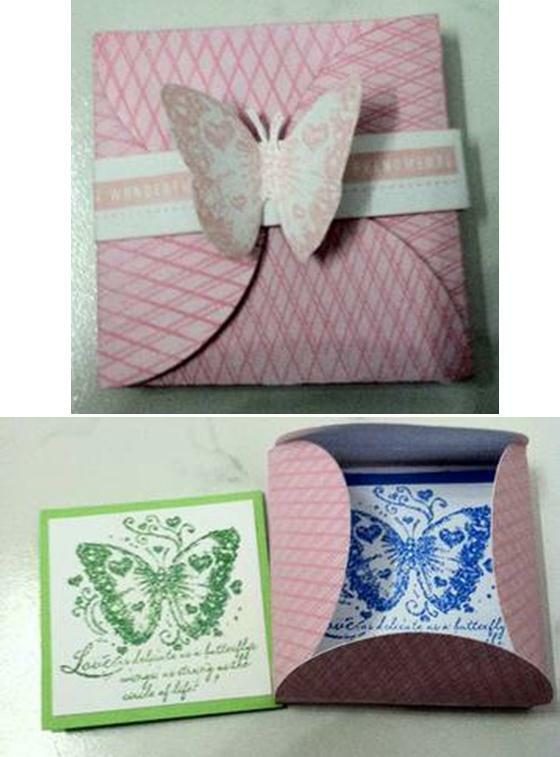 I like the kit because it includes an exclusive stamp set and some embellishments. I used a stamp from the kit. I am so glad the blocks are clear because when I stamped it the "L" didn't stamp but I was able to line it up and stamp again. I am new to stamping. I cut out the pattern from the patterned paper and added Bitty Opaque Pearls to the center of each flower. 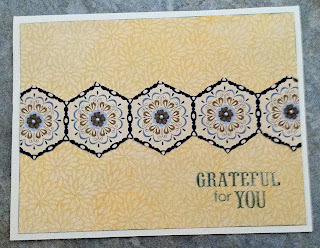 I inked the edge of the yellow side of the paper with the Indian Corn Blue Ink and stamped my sentiment with it. I made the box on page 21 of the Art Philosophy Cartridge at 7.6 inches and used the RGB code for Baby Pink ink and cut it out on my Imagine. I used a background stamp from the April Stamp of the Month to stamp on my box before I assembled it. I made 3x3 cards using Quick Cards Butterfly stamp. 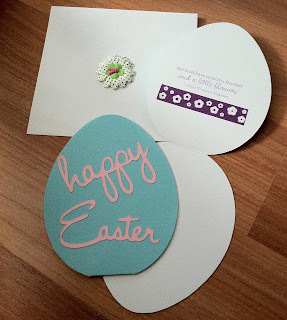 I stamped it using versamark ink and embossed it with CTMH embossing powders Dutch Blue & Topiary. I hope everyone is enjoying Easter & Passover. I made a quick easter card for my nieces. 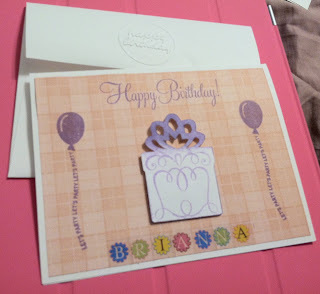 I used my Slice Machine for the words and I stamped and image from the Pair A Phrase stamp set from CTMH. I decorated the envelope with flowers and a bunny brad. I am in the process of redoing my blog. Any suggestions. I also added the CTMH Idea Book. It has some great project ideas. If you place an order with me for at least $50 I can send you a hard copy of the book. If you spend $100 I can and you the book and the petite perk stamp set. You can't have too many birthday cards. My niece turns 12 today so I decided to make her a birthday card.